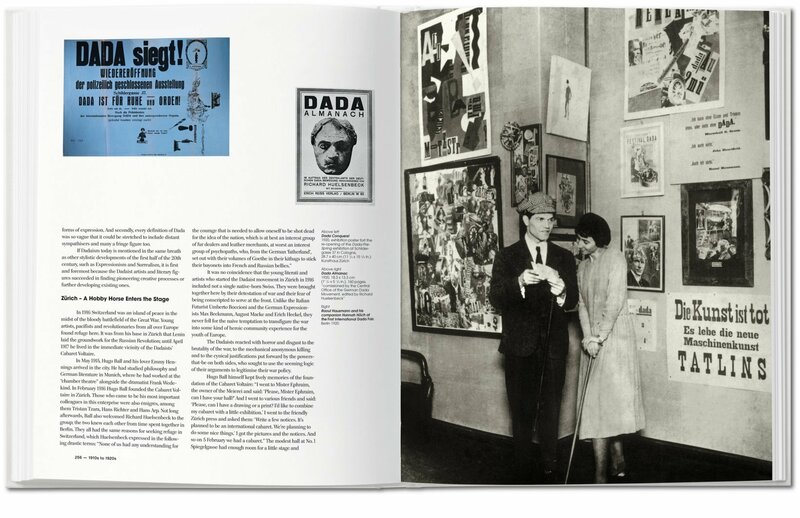 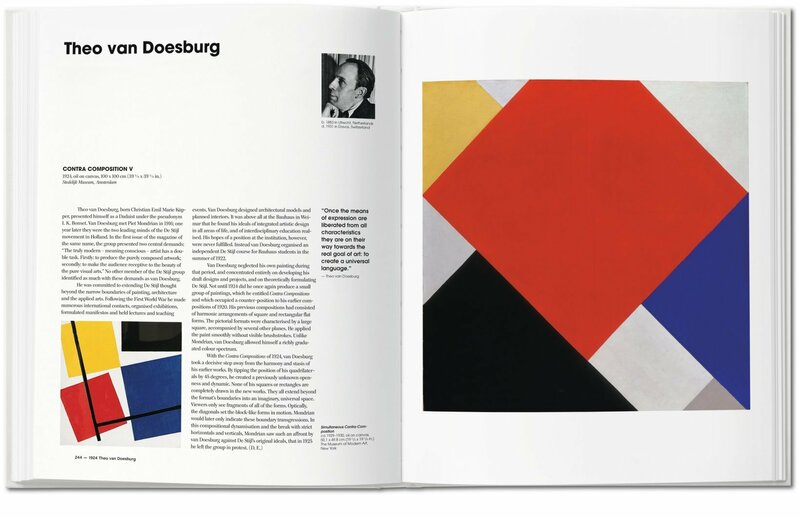 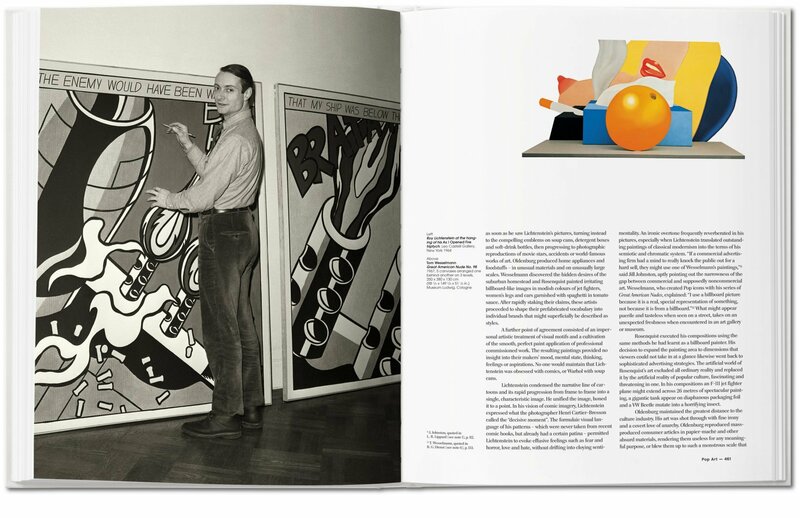 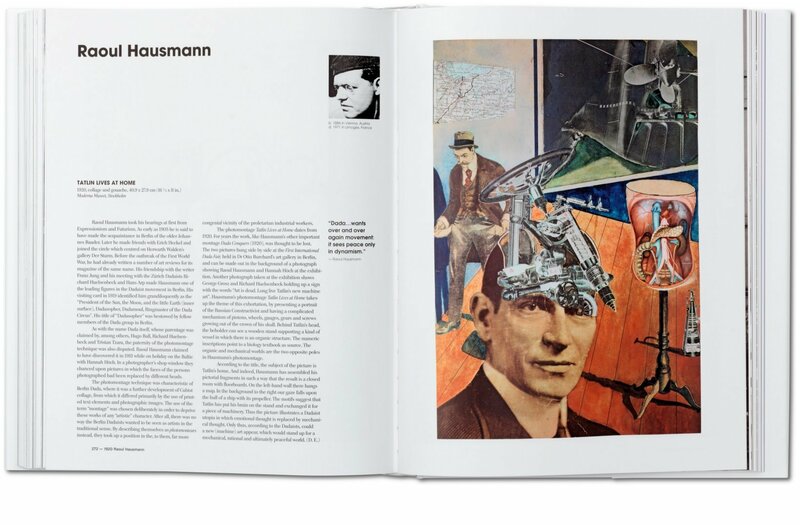 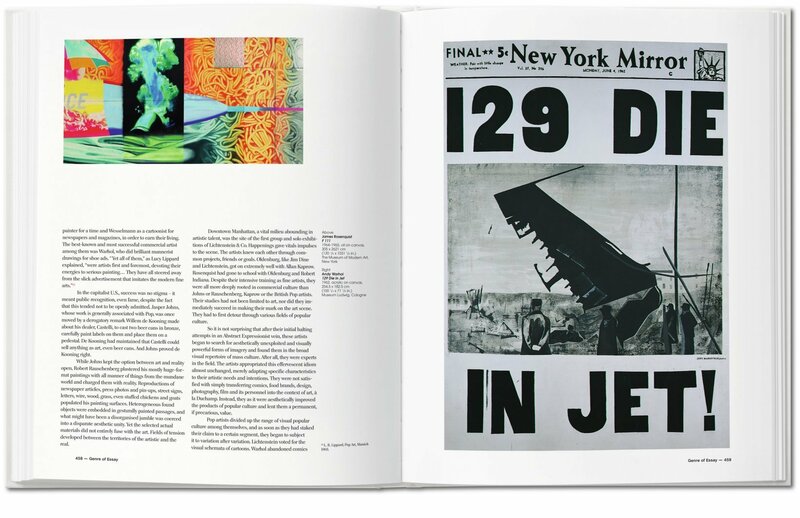 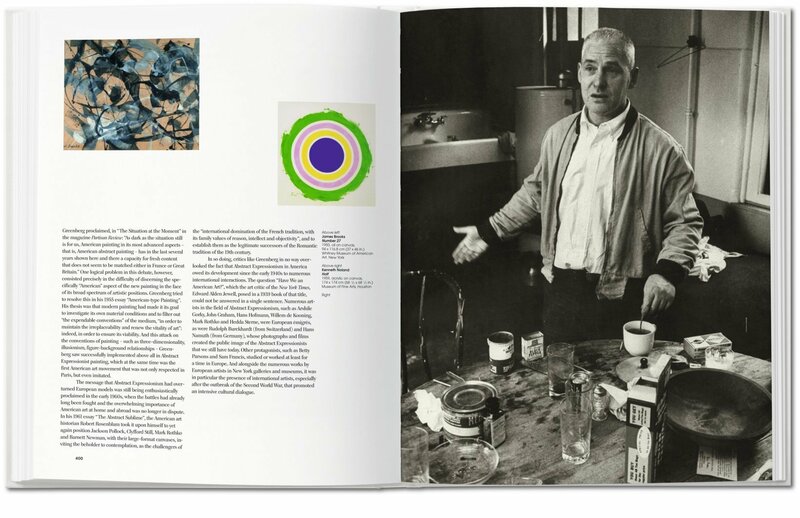 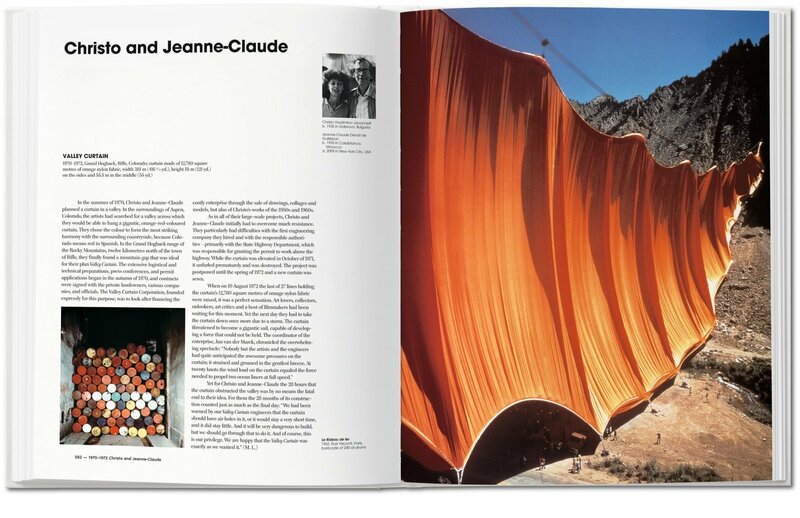 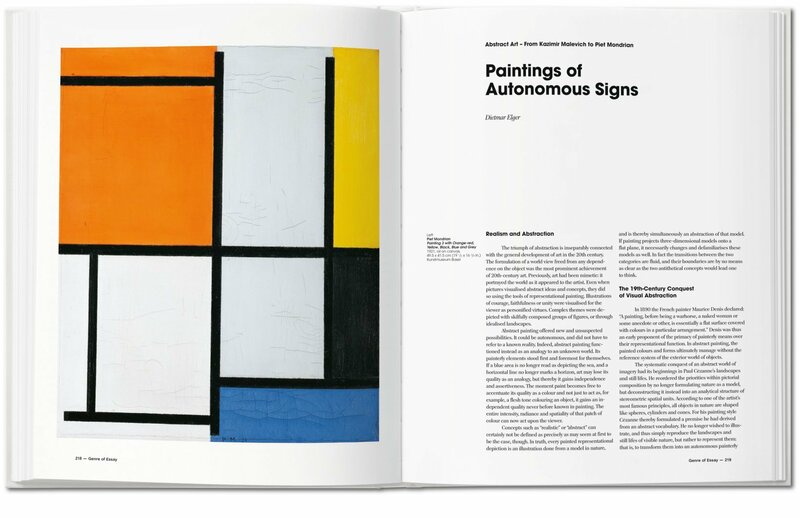 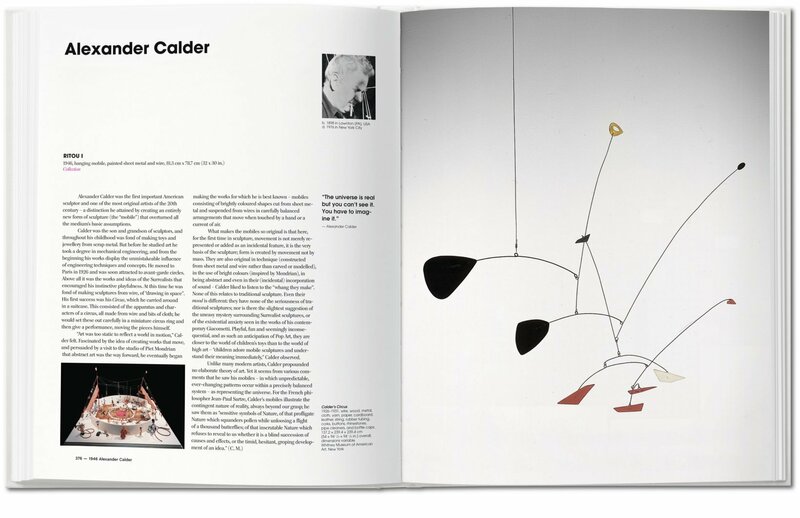 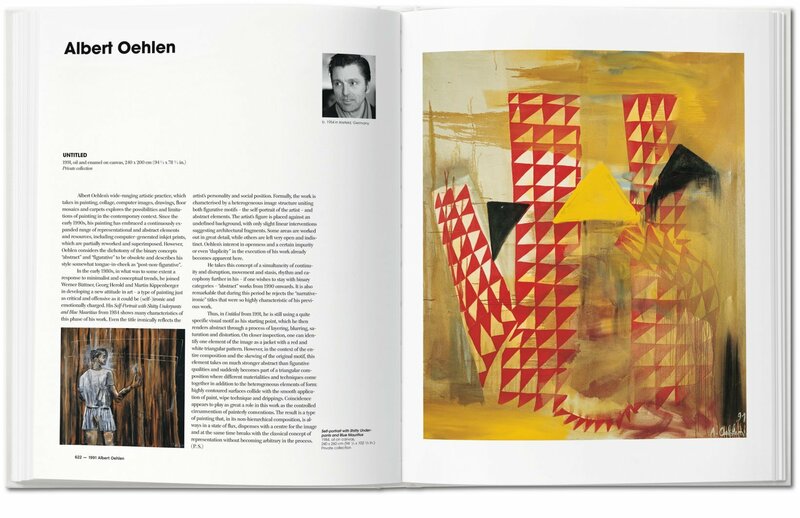 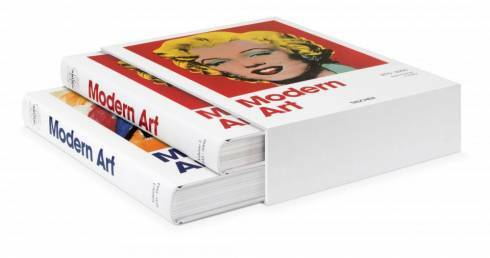 A mammoth book with an even bigger task, this encyclopedic tome introduces the key movements and most significant practitioners of Modern art. 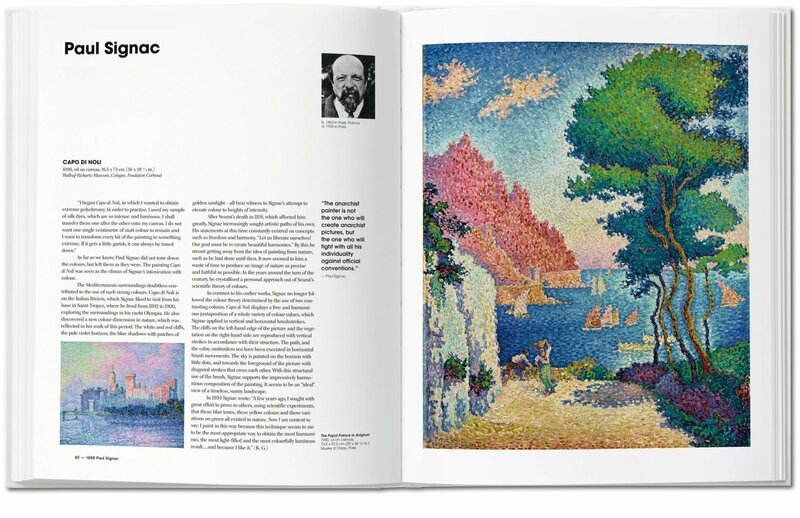 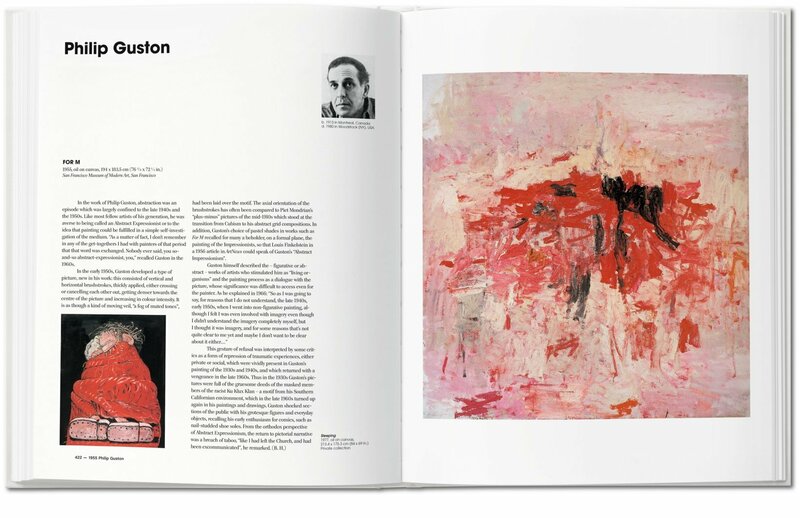 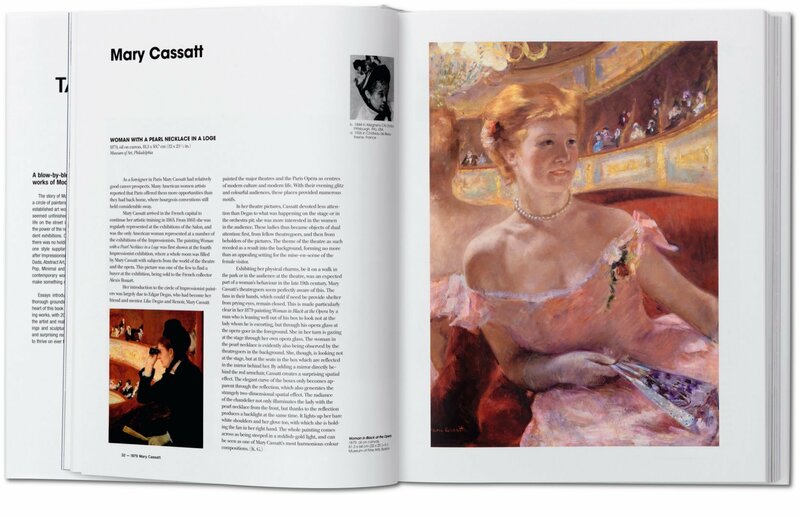 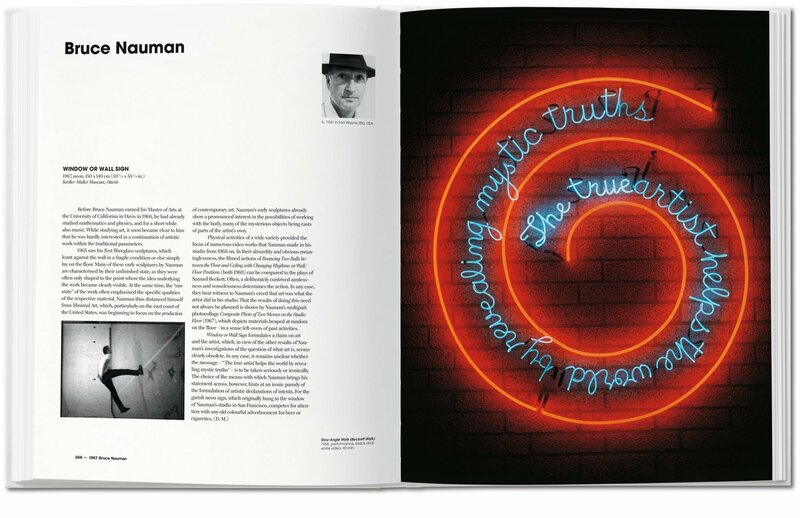 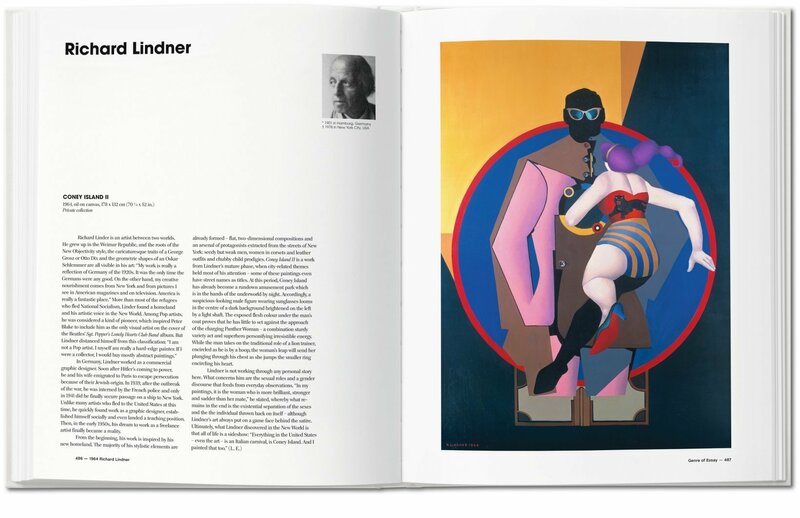 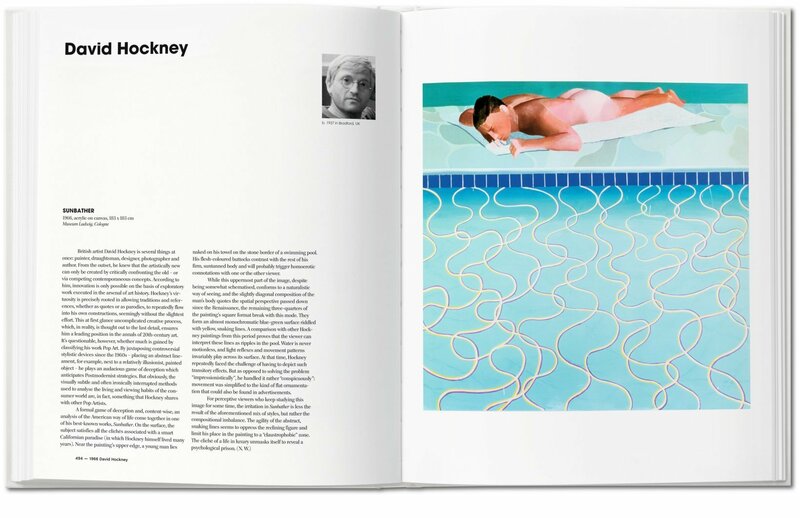 Divided into schools, from Impressionism to Postmodernism, the two-part compendium profiles crucial artists with both biographical information, alongside 200 in-depth analyses of key pieces, and top quality reproductions of essential artworks. 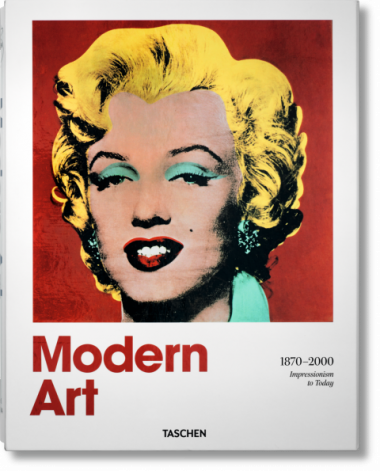 The story of Modern art began roughly 150 years ago in Paris, where a circle of painters, whom we now know as Impressionists, shook up the established art world. 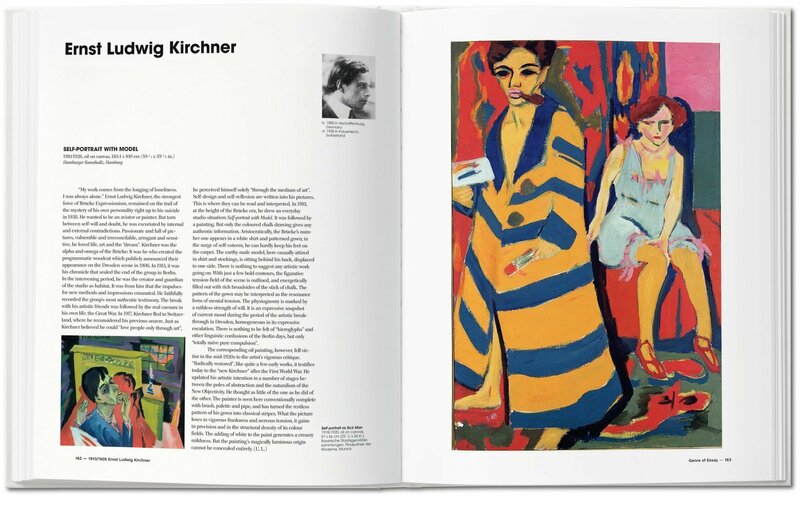 They painted in broad strokes that seemed unfinished in light of the meticulous official art, they portrayed life on the street instead of overblown heroic scenes, and they escaped the power of the reigning salon painters by organizing their own independent exhibitions. 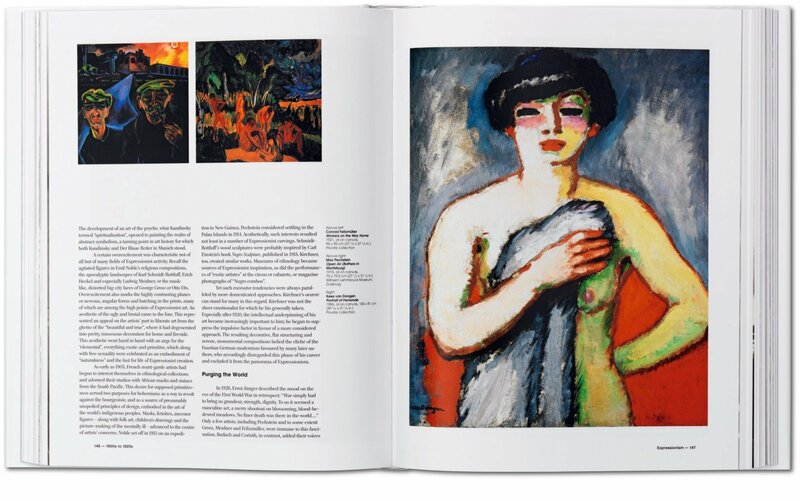 Once standard academic practice had been overcome, there was no holding back, and in a constant desire to the pursuit of new roads, one style supplanted the next, always bringing different innovations: after Impressionism, there followed Symbolism, Expressionism, Futurism, Dada, Abstract art, renewed Realism, Surrealism, Abstract Expressionism, and Pop, Minimal and Conceptual art. And with Postmodernism and the contemporary work of a Koons, Kelley, or Wool, this modernist drive to make something new is still much alive. 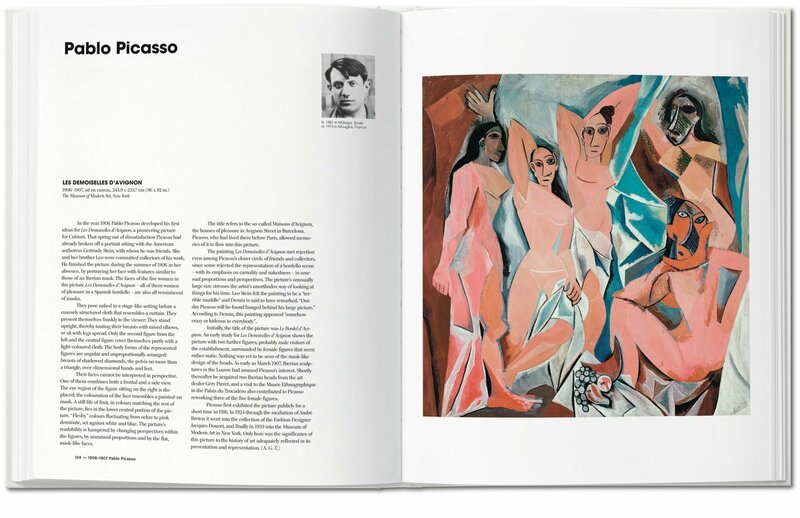 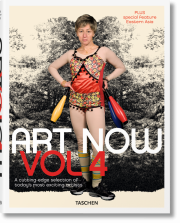 Essays introducing all the major art movements give the reader a thorough grounding in the historical development of Modern art. 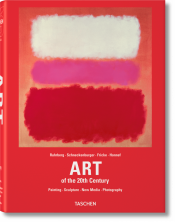 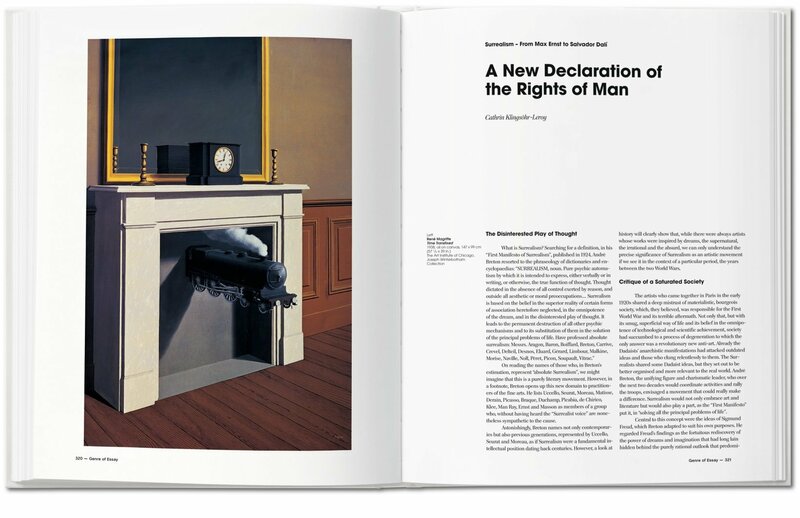 At the heart of this book though is the year-by-year succession of groundbreaking works, with 200 key pieces analyzed in their own right, introducing the artist and highlighting what made these works so important. 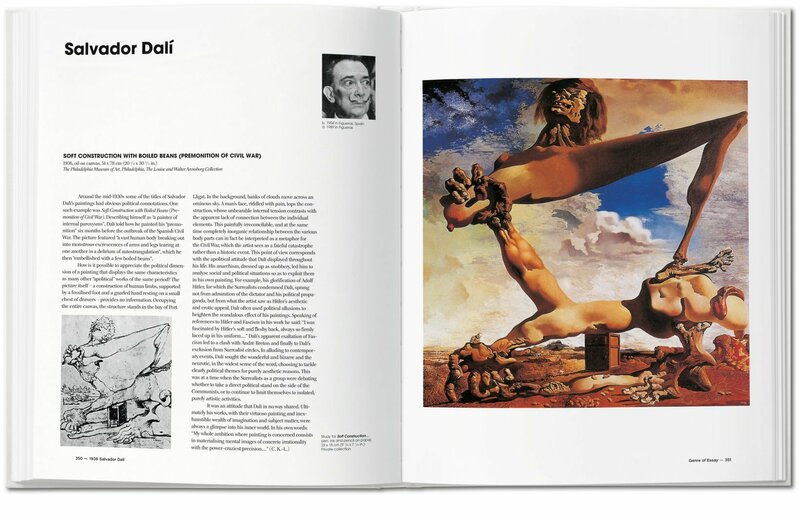 Paintings and sculptures, photographs and conceptual works, both classics and surprising rediscoveries, tell the story of an art epoch that continued to thrive on ever fresh ideas and innovations.